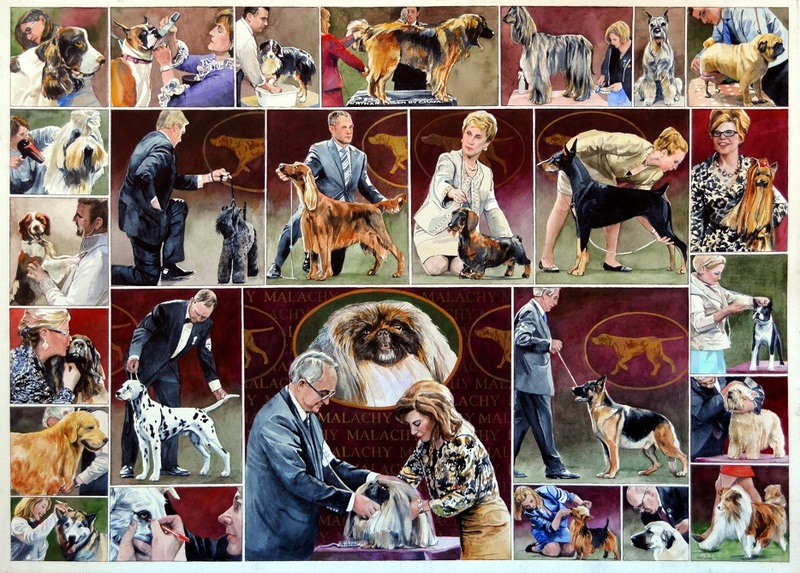 Using the phenomenal photographs I took at the 2012 Westminster Dog Show, I painted this piece for the 2013 Westminster Dog Show poster art competition and was selected as a finalist. Please see my News update here. People loved this painting and many recognized themselves. I find the behind-the-scenes glimpse delightful. I especially love the application of mascara on one obliging and very beautiful canine mug. These scenes follow the progression of the event from intense preparation to the winning moment. The victor, a Pekingese named Malachy, is front and center.